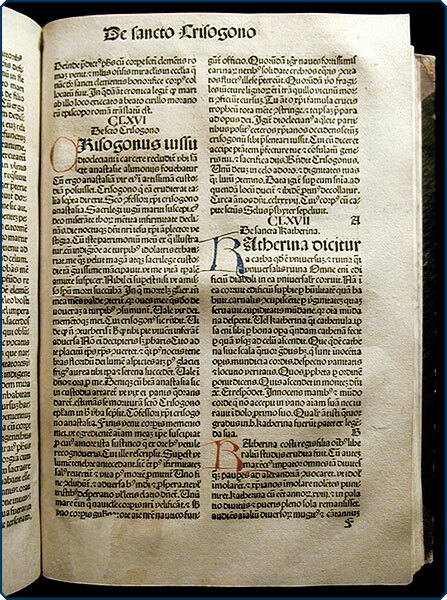 CC Special Collections acquires its fourth incunable! This particular copy is in a later binding and has almost all its hand-done initial letters. At least one previous owner made marginal notes on several pages. It will be useful to scholars of medieval history (the text was originally written in the 1200s) and to anyone interested in book history. 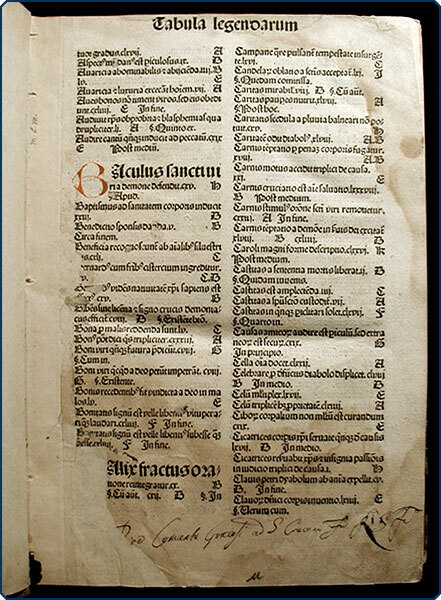 We could afford our new incunable because it lacks four leaves and has stains and other flaws — all of great interest to anyone interested in books as objects, so we’re very pleased with the bargain! We know faculty and students will make good use of it in the years to come. More soon on other purchases made with this same anonymous gift! 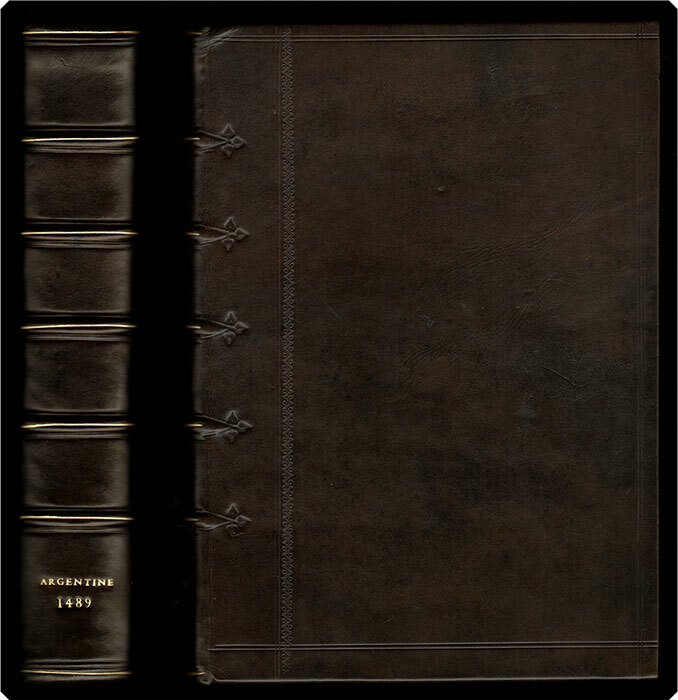 This entry was posted in new acquisitions on March 14, 2012 by jessyrandall.